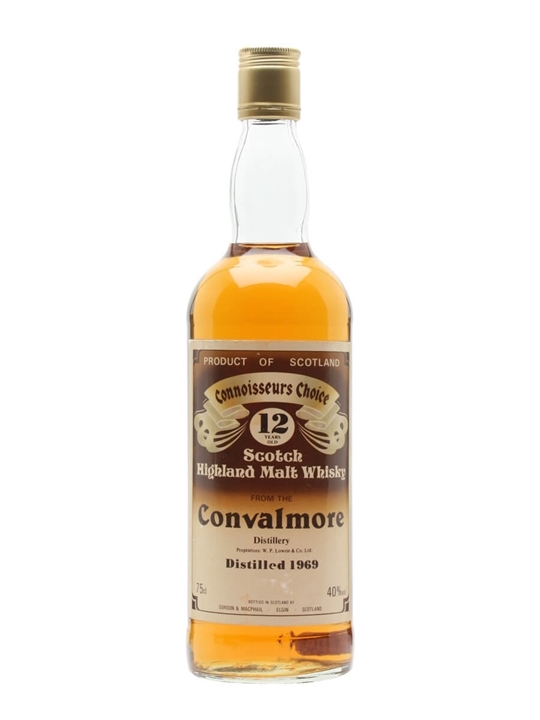 Convalmore was founded in 1893 by Convalmore-Glenlivet Distillers Co. Ltd, with construction being completed in 1894. 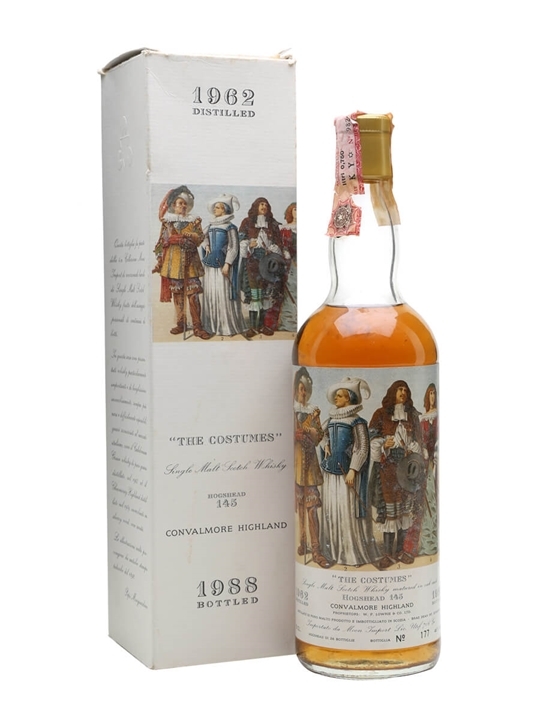 It was sold to W & P Lowrie & Co. Ltd in 1904, who went into partnership with James Buchanan in 1906 and later became part of Scottish Malt Distillers (SMD) and Distiller’s Company Ltd (DCL) in 1925. 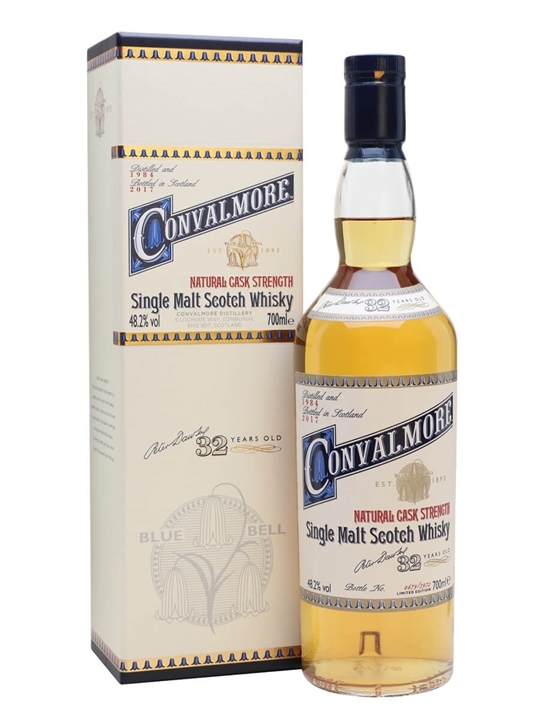 Convalmore was destroyed by fire in 1909, and during the rebuilding the decision was made to switch to continuous distillation of malt whisky. This experiment lasted for six years until 1916, when it was decided to go back to using pot stills. Summary: 75cl / 40% / Gordon & MacPhail – An early 1980s Connoisseurs Choice bottling of 12yo Convalmore 1969 – this is a very rare chance to taste a relatively young single malt from a distillery that closed in 1985. 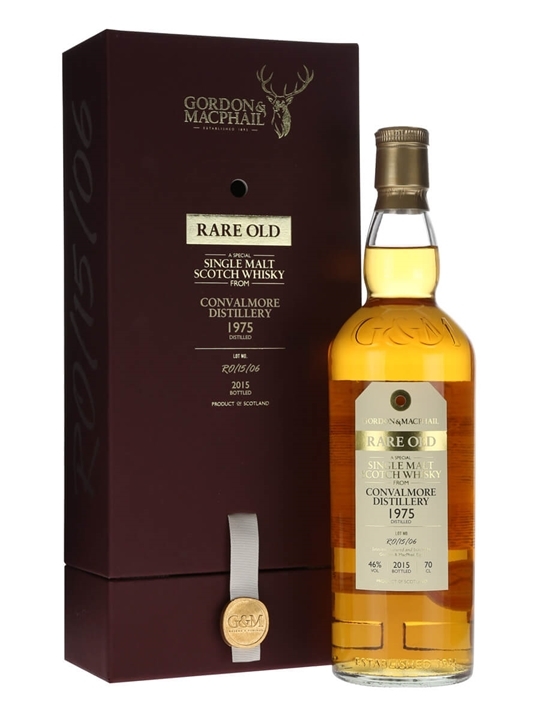 Summary: 70cl / 46% / Gordon & MacPhail – A Gordon & MacPhail Rare Old bottling of the very infrequently-seen Convalmore. This distillery was closed by Diageo in 1990 and later sold to Wm Grants, who currently use the buildings for storage only. 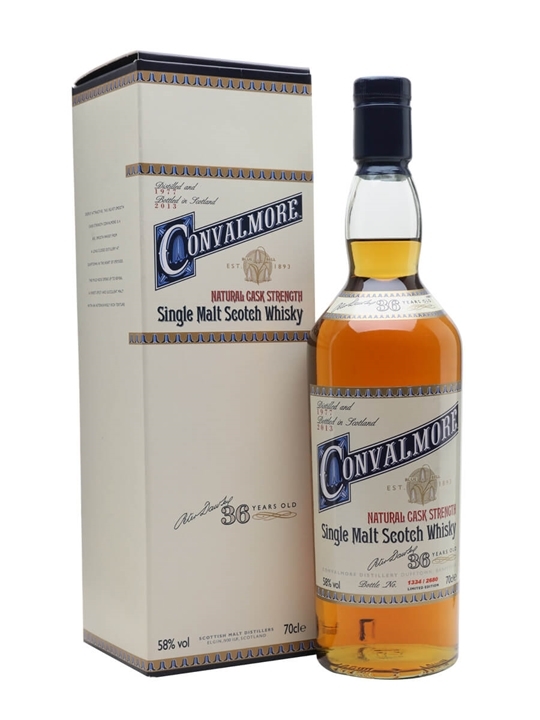 Summary: 70cl / 60.8% / Signatory – A very rare bottle of Convalmore, this full-strength single cask 1976 was bottled by Signatory for their Silent Stills series in 2000. 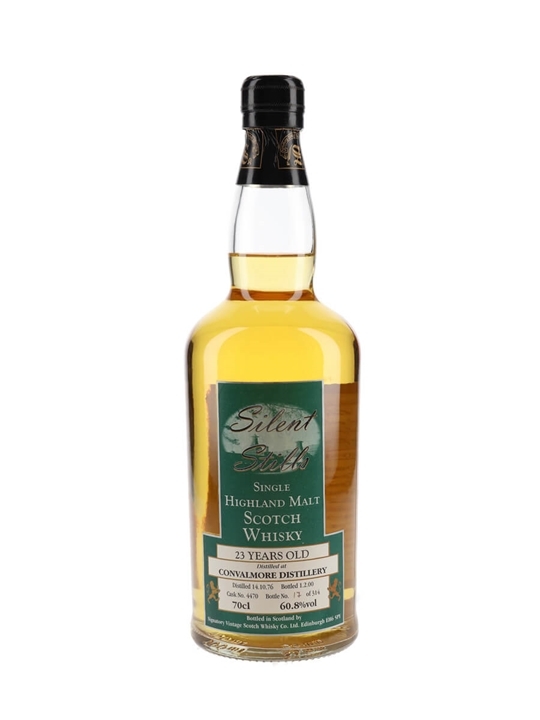 Summary: 70cl / 48.2% / Distillery Bottling – Subtle, sweet and spicy Speyside single malt from closed distillery Convalmore. Predominant notes are all from the bakery: buttery pastry cases, green fruits and a little citrus, followed by intense brown sugar sweetness and spice. 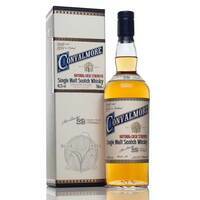 A characterful example of this little-known distillery’s style. Summary: 75cl / 46% / Moon Import – An extremely rare Convalmore, bottled by Moon Imports of Italy. One of the "Seven Stills of Dufftown", the distillery closed in 1985 and, as a result, bottlings are hugely sought-after. 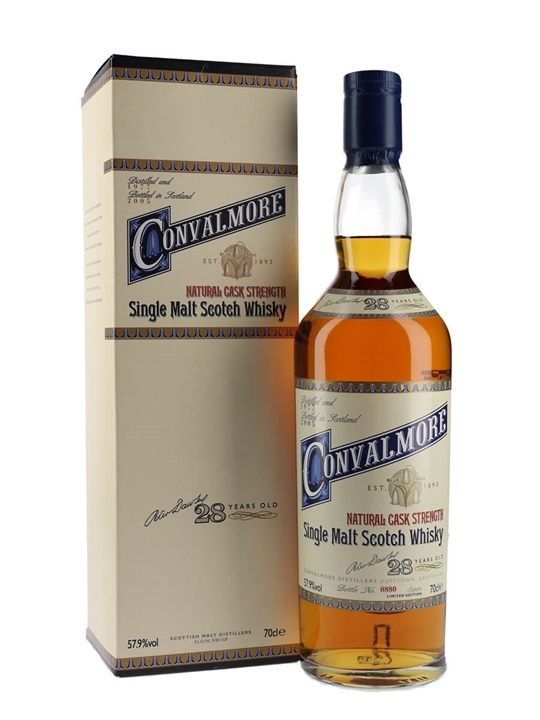 Summary: 70cl / 58% / Distillery Bottling – The second 1977 vintage of Convalmore from Diageo's Special Releases, with this 2013 bottling following the 2005. Official bottlings from the distillery are rare, and this is one of the best we've tried – an excellent balance of fruit and oak.